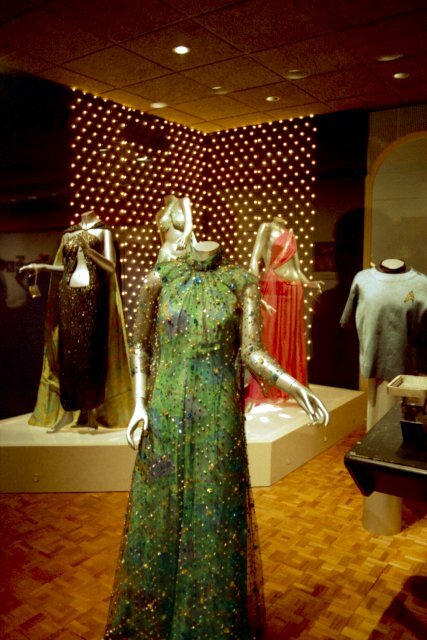 Star Trek Prop, Costume & Auction Authority: Star Trek At The Smithsonian - Lt. Palamas Grecian Style Dress from "Who Mourns for Adonais?" 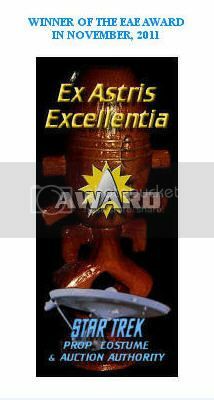 Star Trek At The Smithsonian - Lt. Palamas Grecian Style Dress from "Who Mourns for Adonais?" 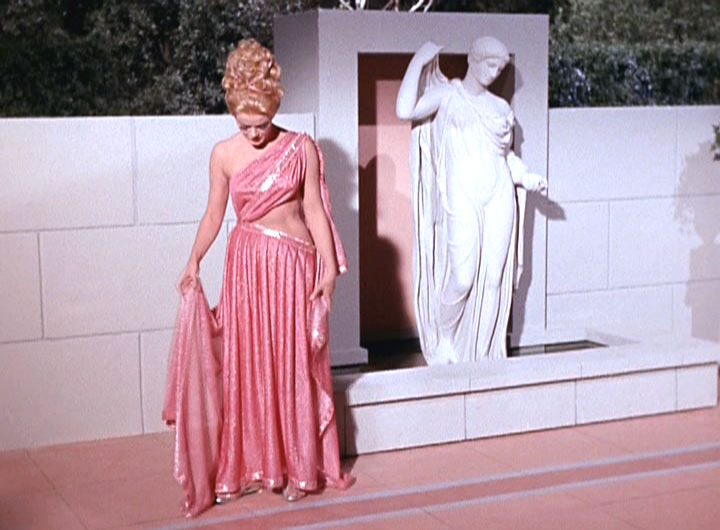 This eighth in a series of posts on Star Trek at the Smithsonian focuses on an elegant grecian-style dress worn by actress Leslie Parrish as Lt. Carolyn Palamas in the 2nd season episode "Who Mourns for Adonais?" 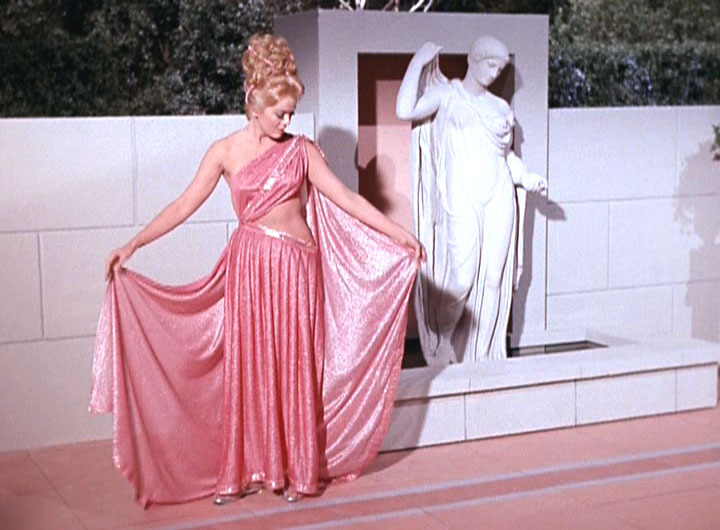 (first airdate Sept. 22, 1967). 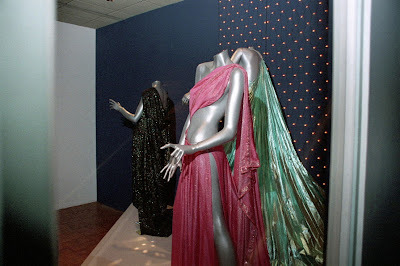 Created by TOS Costume Designer Bill Theiss; this beautiful, flowing gown is highly regarded as one of the most attractive costumes seen in The Original Series. 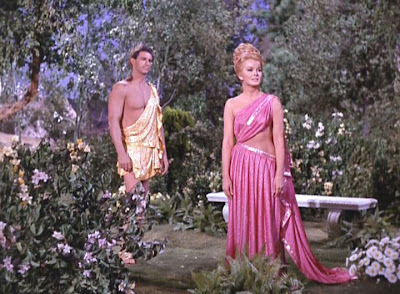 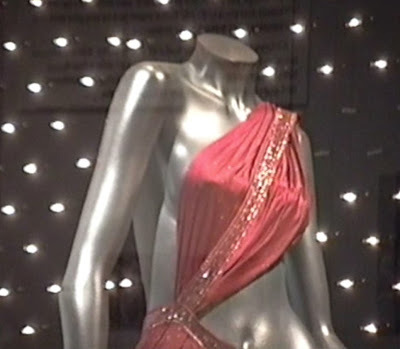 A quite interesting anecdote involving this beautiful costume, that many Star Trek fans might not be aware of, is that it was screen worn once again by the lovely actress Leslie Parrish on a different Desilu studios televison series, Mannix, in an episode that aired a few months following the September 1967 broadcast of "Who Mourns for Adonais". 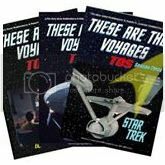 Parrish is being viewed through binoculars in the Mannix episode by actor William Windom, who coincidentally also has a celebrated association with TOS for his portrayal of Commodore Matt Decker in the 2nd season episode "The Doomsday Machine" (first airdate: Oct. 20, 1967). 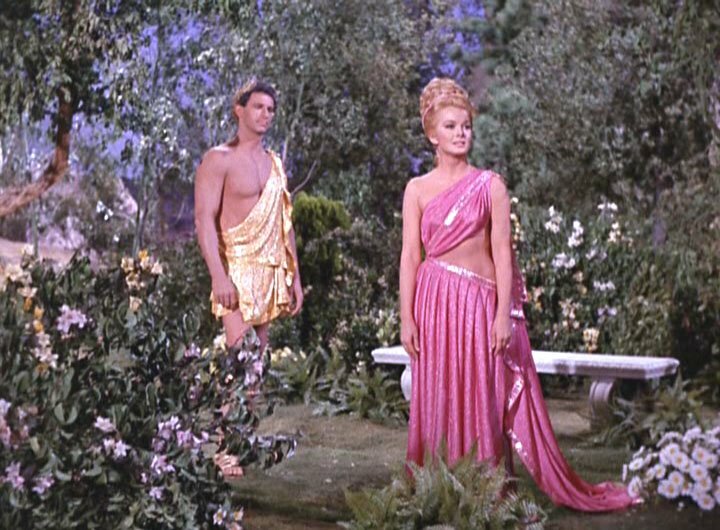 Some screenshots of Parrish in the Mannix episode follow. 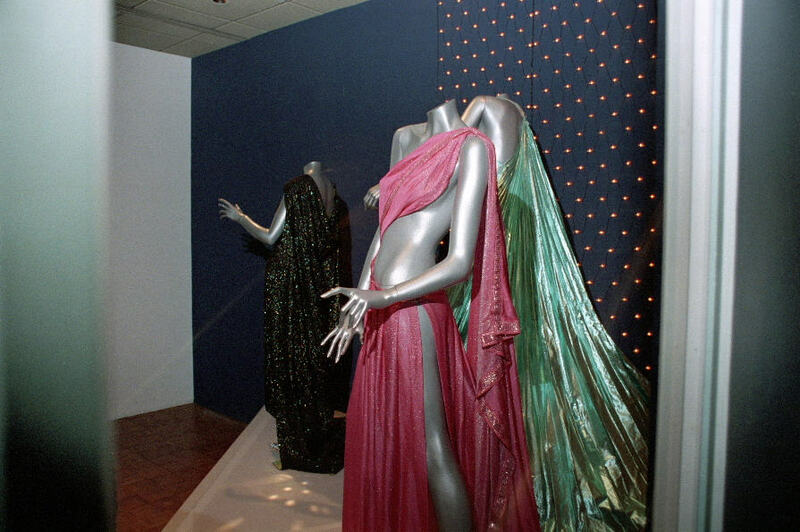 Many thanks to Eric Paddon for his kindness in capturing and sharing these images upon recognizing the Palamas dress; and to John Garrett for his kind efforts that enabled the anecdote to be included in this article on one of the most admired creations of TOS Costume Designer Bill Theiss.